This year’s National Nurses Week is upon us, from May 6, which is National Nurses Day, through May 12, the birthday of modern nursing founder Florence Nightingale. This year’s theme “Ethical Practice, Quality Care” highlights the importance of ethics in nursing and recognizes the commitment, compassion, and care demonstrated by nurses in their profession. 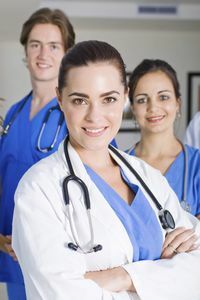 The American Nurses Association (ANA) has designated 2015 as the “Year of Ethics” to promote and advocate for the rights, health, and safety of nurses and patients. First observed in 1954, the week will feature celebrations and receptions across the nation to honor the work of nurses and their profession. Nurses are the frontline of the healthcare industry. They are called upon to work long shifts at all hours of the day or night, often enduring difficult situations. They are the heart and soul of the medical profession. Please join AED Superstore in celebrating and honoring nurses everywhere. If anyone deserves recognition for their strength of character and tireless efforts, it’s nurses. You guys choose a great theme ‘Ethical Practice, Quality Care’ to celebrate.I wish you a advance happy nurse day.